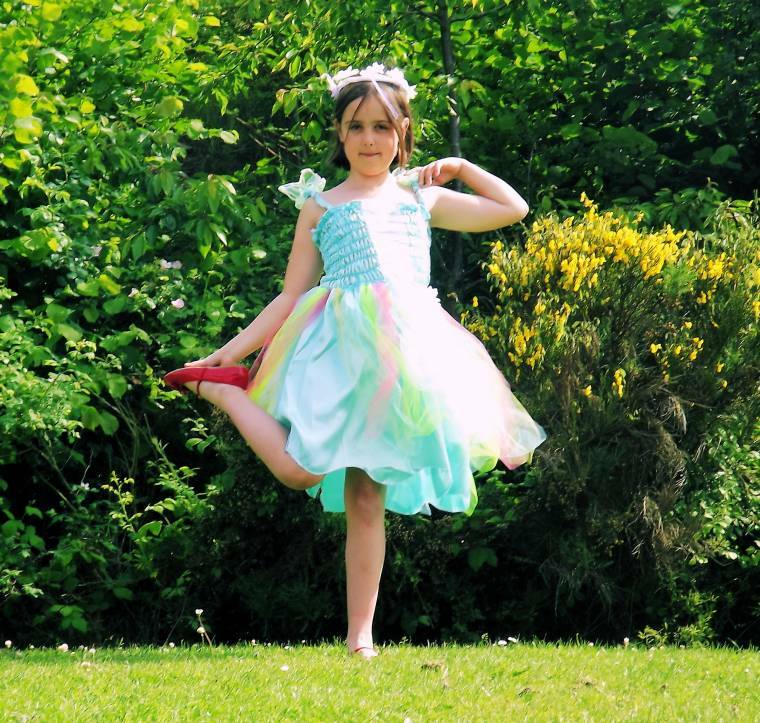 It was a lovely suprise to be asked if we would like to review one of the fancy dress costumes from Jokers’ Masquerade as my daughter is a big fan of dressing up. 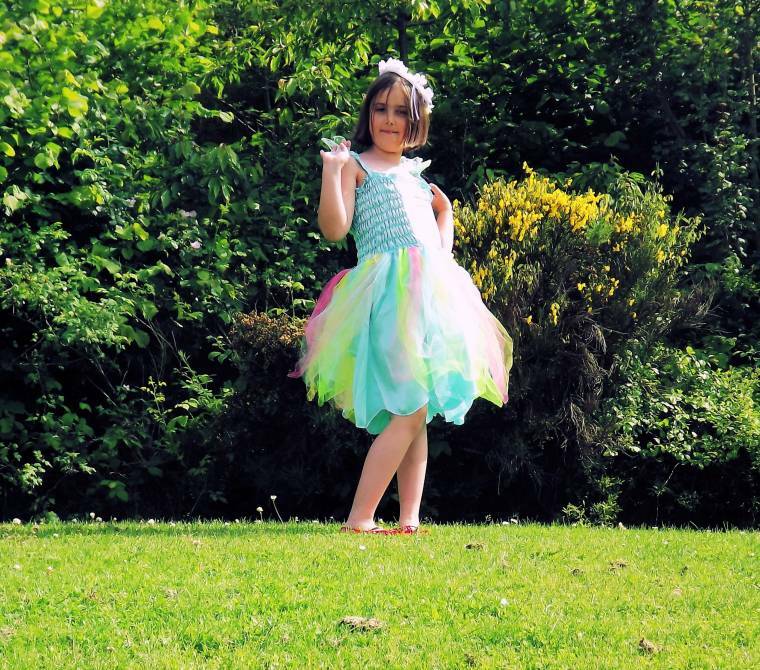 She is such a girly girl and loves anything pretty from princesses to children’s fairy costumes. I decided to go with this Flower Fairy Costume because of the array of colours and the cute daisy chain headband and I just knew she would love it. After receiving an email on Friday from the company I was told to expect it around Wednesday it was a great surprise then, that it arrived the next day as this was perfect timing because it was her birthday. She was so excited to open it and could not wait to wear it she said she loved it and with the smile on her face I knew I had picked her a great kids fairy costume. 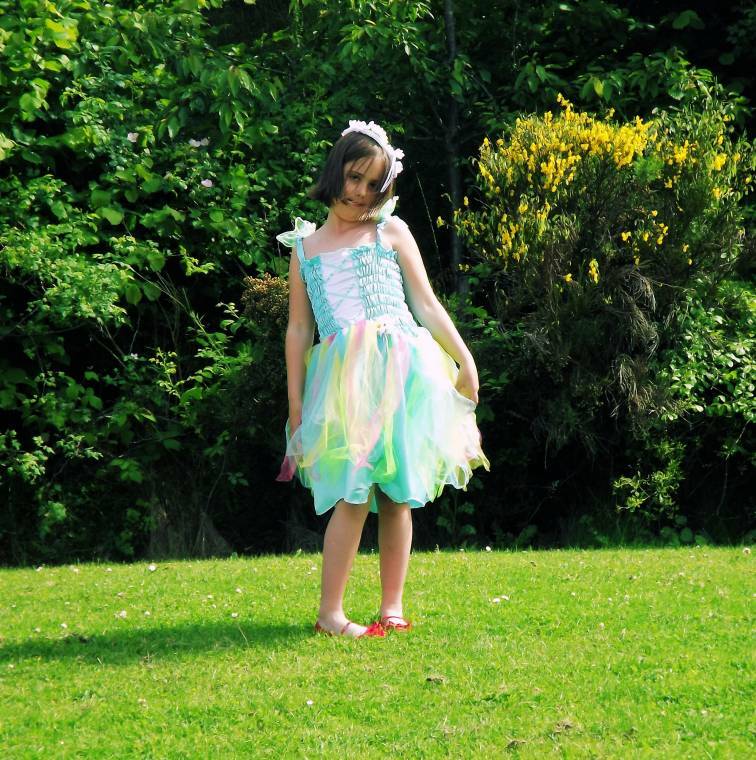 I think it looks lovely the colours are great and I would say the size is spot on.I ordered a size large 8-10 year and although she is only 7 years old she is bigger than the average child at her age at her age and I always order her this size in everything.I love their website as they have a huge variety of Childrens fancy dress . I am glad I’ve found this website as for my 40th birthday I have always said I would love to see a Rocky horror stage show and they have a perfect Columbia dressing up costume, so watch this space..Eek 40 next May…I will defintly be checking them out for Kids Halloween costumes and Christmas presents.I would recomend this website and they have a huge amount of themes for every occasion. 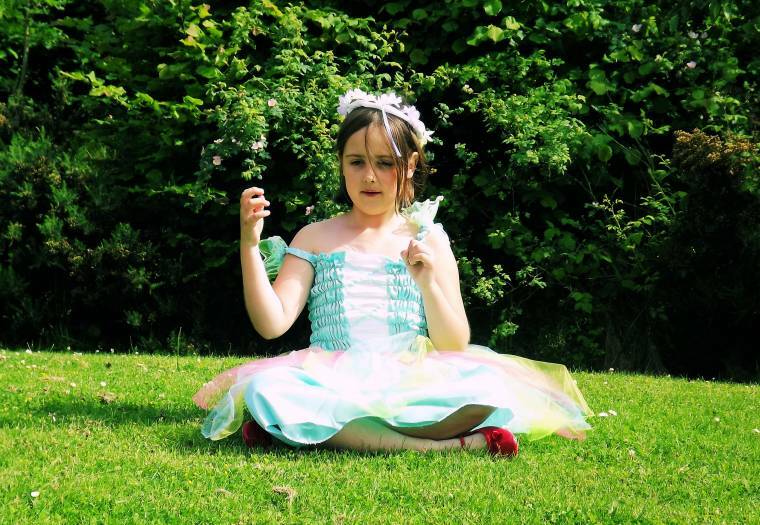 I was sent a Flower Fairy costume free of charge for the purpose of this review.I was not paid for this post and all thoughts on the website and costume are my own…. 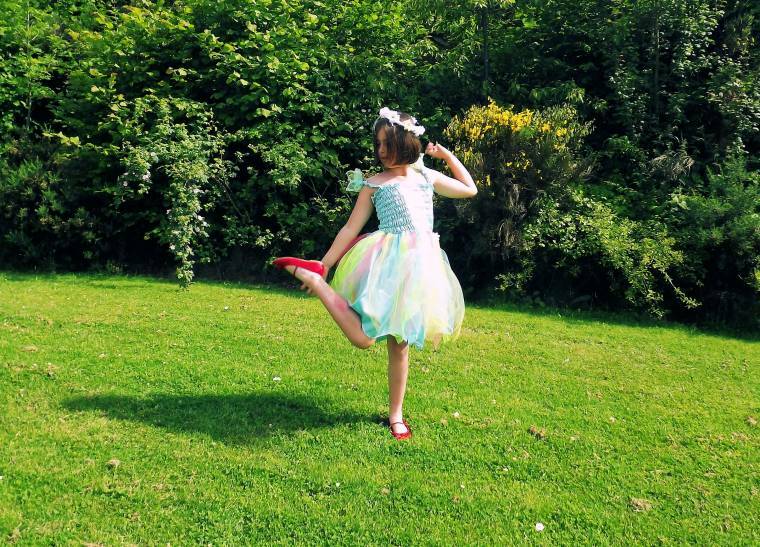 "Win A Pair Of Running Shoes…"
"29/6 Link Up Your Favourite Posts This Week : Welcome To The Weekend Blog Hop.."
It's a lovely fairy dress and I know your daughter enjoyed wearing it so much! Dress-up was always big on my daughter's list of fun things to do. We saved every Halloween costume and added some extra things like slips and skirts and jewelry that she could use if she wanted to. She and her friends would always have fun with the "dress up box." I think the company did a great job on the costume! It's so cute. I know my girls would love that. So pretty!! My daughter would love dressing up in that outfit too.